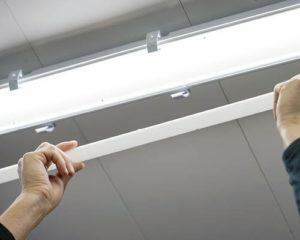 Schafer Electric Services, Inc can replace ballasts and lamps and upgrade existing fixtures to LED! 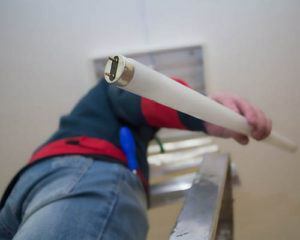 If you’re experiencing issues with your fluorescent lights, Schafer Electric Services, Inc is the expert to call. Ballast or lamp damaged or dead? We can fix it or upgrade it quickly and correctly. We’ve been serving businesses in the North Bay for years—we can help you repair or upgrade your existing fixtures. When your business needs electrical services for its lighting fixtures, call an electrician at Schafer Electric Services, Inc.
Schafer Electric Services, Inc came in this morning and changed all our lights. Ben is AMAZING!!! He was thorough, efficient, smiling and he listed to my bossy tinter tell him why he could fix the ballast but, not replace the bulbs (it effects her matching). Wonderful Vendor.